Have a question? Allow one of our product specialists to call you back and help you! 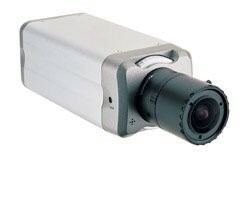 The GXV3601 is a powerful network camera for professional surveillance environments. 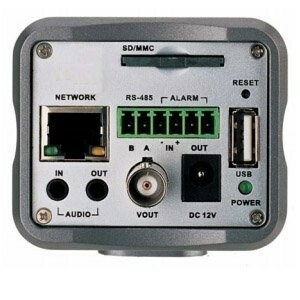 Its unique incorporation of the most comprehensive peripheral support for alarm control, local storage expansion, and wireless network connection, creates sophisticated and best-in-class control flexibility and scalability. 24 MB pre/post event recording buffer. Advanced multi-streaming-rate real time H.264. Integrated Power over Ethernet (802.3af). See more under the Features tab below. The GXV3601 is a next generation IP camera of power and innovation. It features cutting edge H.264 real-time video compression (D1 resolution) with excellent image clarity at low-to-modest bandwidth, industry leading SIP/VoIP for full duplex 2-way audio and video streaming to mobile phones and video phones, integrated PoE, embedded analytics, large pre-post-event recorder buffer, and advanced security camera protection. Its unique incorporation of the most comprehensive peripheral support for alarm control, local storage expansion, and wireless network connection, creates sophisticated and best-in-class control flexibility and scalability. The GXV3601 network camera can be managed with GSurf, Grandstream's advanced and intuitive video management software that controls up to 36 cameras simultaneously. 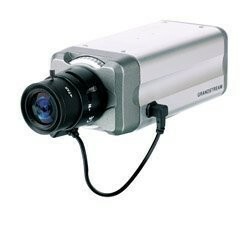 The GXV3601 is a powerful network camera for professional surveillance environments. Video Compression: H.264, JPEG, Motion JPEG. 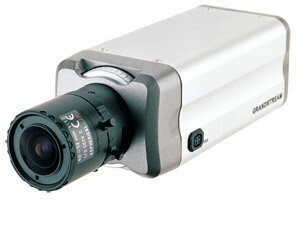 Image Sensor: 1/3" Super HAD CCD. Lens Type: 1/3" Varifocal 3.5-8mm, DC-iris, CS mount, changeable. Minimum Illumination (Lux): 0.015 at F1.4. Max Video Resolution: Full D1: 720 x 576 (PAL), 720 x 480 (NTSC). Max Frame Rate in Max Resolution: 30fps/25fps at D1 resolution (NTSC/PAL). Video Bit Rate: 32 Kbps - 2 Mbps. Video Output: BNC x 1, Voltage 1.0Vp-p, Resistance 75Ω. Alarm Input: Yes - 1, Normal Open. Alarm Output: Yes - 1, 125VAC/0.5A, 30VAC/2A. Embedded Analytics: Motion detection (up to 16 target areas), video loss (pending). Snapshots: Trigger upon events, send via email/FTP. Multi-streaming-rate for Preview & Recording: Yes. Security: Video watermark, HTTPS, Password. Network Port: 10M/100M auto-sensing, RJ45. Network Protocol: TCP/UDP/IP, RTP/RTCP, RTSP, DHCP, PPPoE, DDNS, HTTP, HTTPS. Power over Ethernet (PoE): Standard, IEEE 802.3af Class 3. Peripheral Ports: SD 2.0, USB 2.0. Wi-Fi (802.11b/g): 5dB external antenna (GXV3601W only). Dimensions (L x W x H): 155mm x 68mm x 64mm. Temperature / Humidity: -10°C - +55°C (14°F-131°F). Power: Output: 12VDC/1A; Input: 100-240VAC, 50-60Hz. Compliance: FCC Part 15, Subpart B Class B; EN 55022 Class B, EN 61000-3-2, EN 61000-3-3, EN 55024, EN 60950-1; C-tick AS/NZS CISPR 22, CISPR 24. Copyright © 2019 CrownSecurityProducts LLC. All Rights Reserved.